MPEG-2 and MPEG-4 SD and HD video decoding openGear® solution. Its design is practically future-proof and decodes traditional video formats such as UDP and RTP (MPEG Transport Stream) as well as Internet and Mobile formats such as RTMP (Adobe® Flash) and HLS (Apple® HTTP Live Streaming). The 9990-DEC-MPEG-SDI1 supports newer cameras that output RTMP and security cameras that output RTSP. Its high-density, low power design saves on operating expenses, with up to 10 cards installed in a 20-slot openGear® frame. IP and DVB-ASI input streams are supported, with outputs as ASI, DVB-ASI, SDI, HDMI, and CVBS (for SD streams) using MPEG4 AVC or MPEG2 decoding. 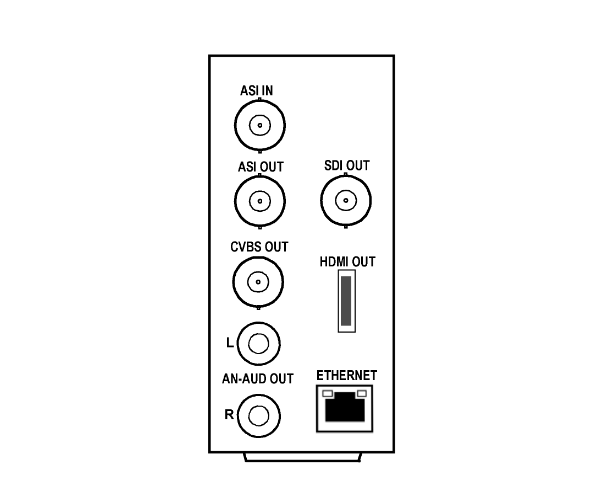 The 9990-DEC-MPEG-SDI1 can decode from several audio codecs and provides Dolby® pass-thru. SMPTE-2038 processing allows de-embedding SMPTE-2038 generic ancillary data packets. Full user DashBoard™ remote control allows full status and control access locally or across a standard Ethernet network. A complete SNMP MIB is also included. 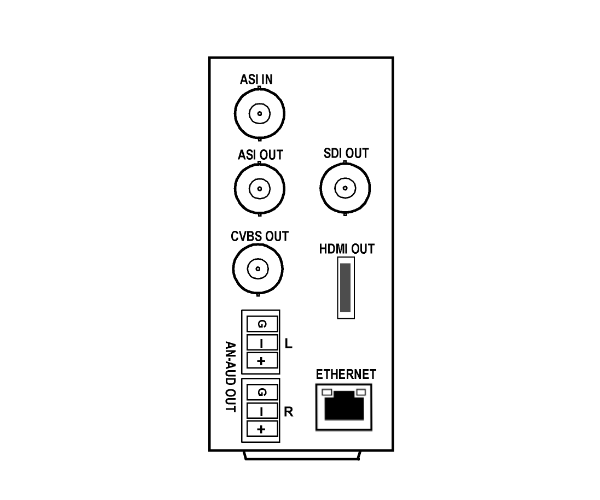 The 9990-DEC-MPEG-SDI1 is also available in stand-alone form factor BBG-1190-DEC-MPEG. Comprehensive MPEG decoding solution – MPEG4 AVC and MPEG2 to ASI, SDI, HDMI and CVBS with built-in audio codecs. Convenience IP output also. You are currently requesting a quote for 9990-DEC-MPEG-SDI1.